Prerequisites: Puppy is less then 1 Year old. The AKC S.T.A.R. Puppy Program was developed by the American Kennel Club to help puppy owners, instructors, breeders, shelter staff and other canine professionals understand and meet the needs of a remarkable, extraordinary creature — the puppy. S.T.A.R. stands for Socialization, Training, Activity and a Responsible owner, everything a puppy needs to have a good life. Puppy owners and their dogs (up to one year old) attend a puppy class for at least 8 eight weeks. You’ll go to class once a week for about an hour, and in between classes, practice with your puppy at home. In the last class, your instructor will administer the twenty item non-competitive AKC S.T.A.R. Puppy evaluation. 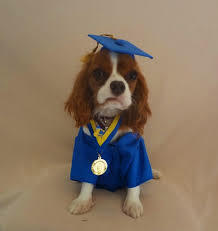 Upon graduation/completion of paperwork you will receive a Gold AKC S.T.A.R. Puppy Medal.